A garden or courtyard can provide a sanctuary from the everyday stresses of life. 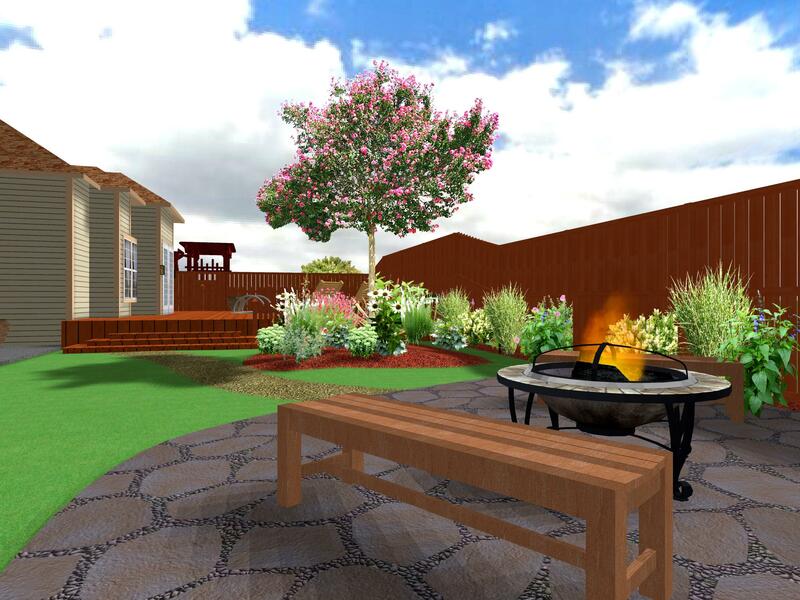 Well Grounded Designs can help you create your ideal outdoor living space by designing plans that use colors and textures for year-round interest. An inviting space to bring the indoors outside can be utilized with arbors, pergolas, fences and gates. Outdoor lighting, water features, patios and drought tolerant plantings can help to increase your home's value. Landscape and garden plans, consultation, garden flip, personal garden shopping and maintenance are highlights of Well Grounded Designs. Satisfaction is guaranteed and exceeding the client's needs is the top priority. Call us today to get your new garden started tomorrow!